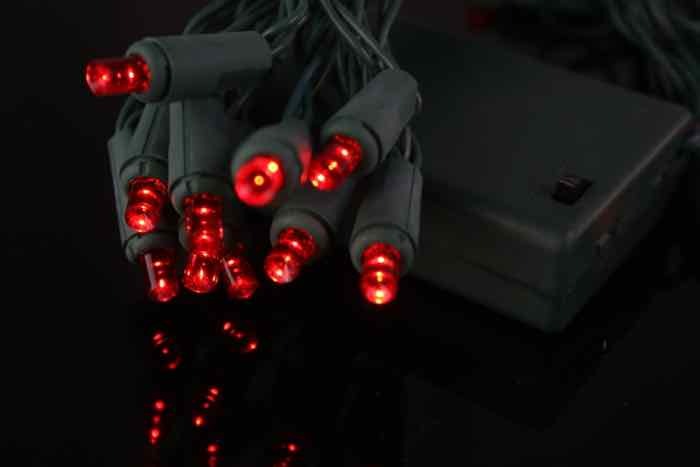 We just can't get enough of these battery operated LED Christmas lights! Each light string is equipped with 20 wide angle LED lenses, spaced 6 inches apart. The conical bulbs throw off a wide array of light, showing off your projects even more. 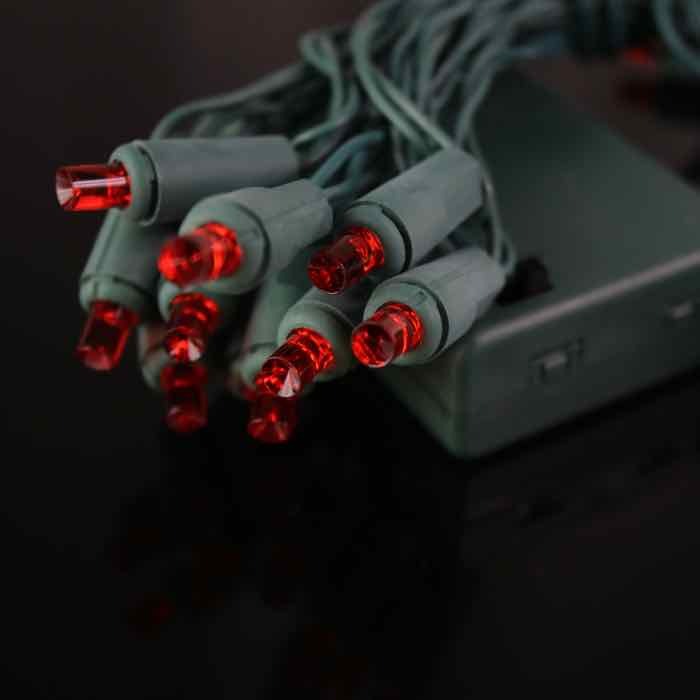 Green wire blends in with both natural and artificial greenery. 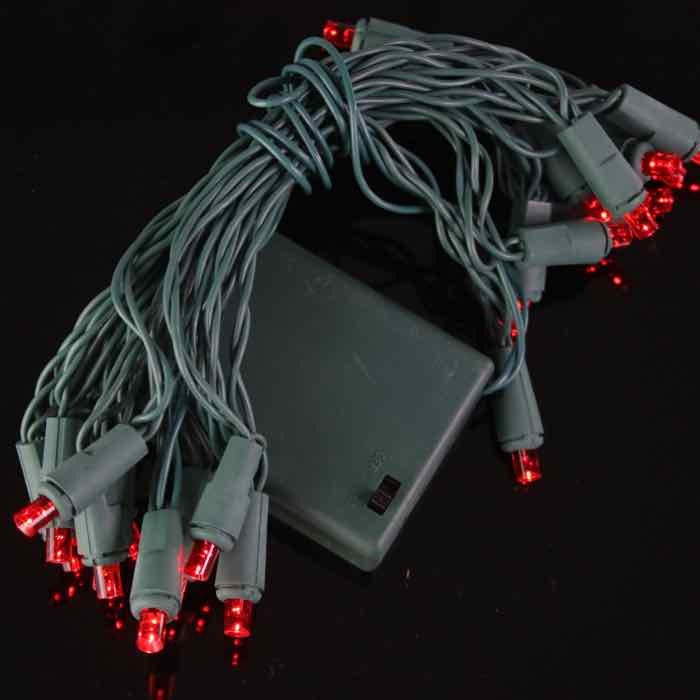 Highlight topiaries, small trees, and grapevine wreaths with these red LED Christmas lights. With 18-24 hours of life per fresh battery set, your event can sparkle all night long. As a note, the battery box is not waterproof. 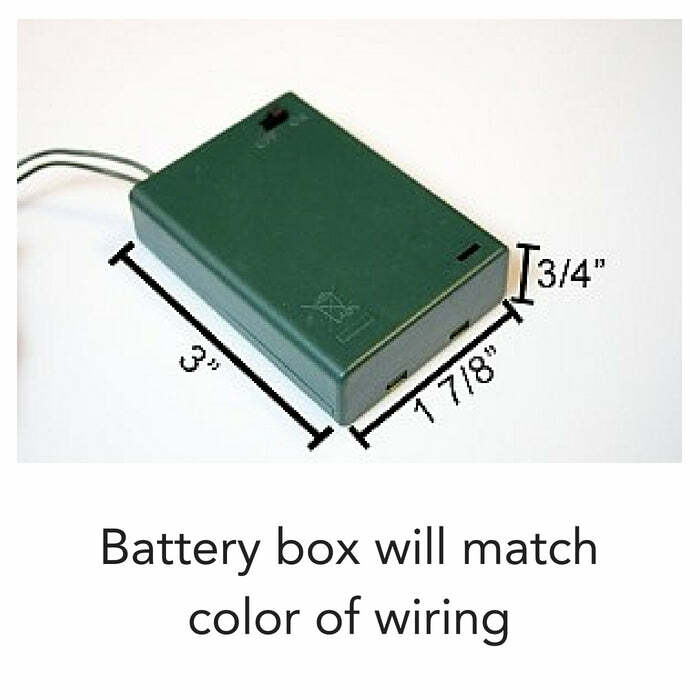 They are designed for short term use and will operate an average of 18-25 hours per 3 AA batteries. Q: do you have lights that flash on and off or blink, I am looking for red and white lights. Unfortunately, we do not have flashing battery lights at this time. All of our sets are steady-on. We don't have the mixed red and white but do have plenty of just red or just white. Hope that helps. Let us know if you have other questions.